List Price: $1,295.00 Don't pay list price. Our Price: $1,145.00 CALL for our LOWEST price! 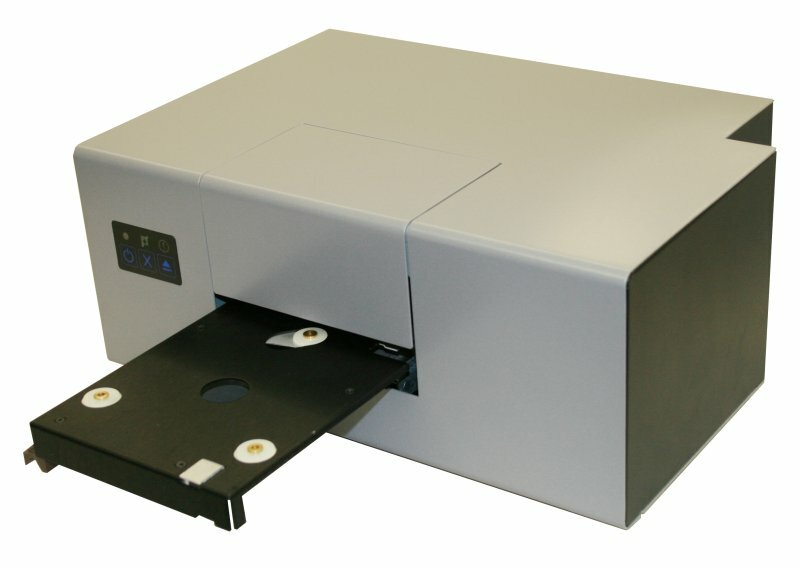 With the low cost of entry, the FlashJet 2 photo-quality inkjet disc printer provides great looking prints. The FlashJet 2 replaces the FlashJet 4800 and now supports 32-bit Vista operating systems. The 4800 DPI resolution with 3 picoliter drop sizes produces the same quality photographic images as the FlashJet 4800. Media Types Printable surface 120mm CD-R or DVD-R; also supports 80mm mini discs and 58mm x 86mm printable surface business card CDs with optional adapter kits (each sold separately) Will also print on ink-jet approved labels after applied to CD surface. 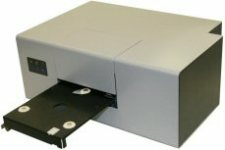 The FlashJet 2 is the most advanced CD/DVD color imager ever manufactured by R-Quest Technologies . 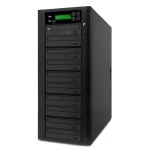 Whether you duplicate discs for audio, music, software, video, or data storage, FlashJet 2 delivers all the performance you need for high-volume, high-quality disc printing - at a TM price that is extremely affordable. The FlashJet 2 is your best CD/DVD printing solution! For the most remarkable print quality, speed and performance, look to the FlashJet 2 color CD/DVD imager. With incredible 4800 dpi print resolution - the best in the world - all of your discs will have the sharpest text, graphics and photos. Colors are bright, vibrant and truly photo-quality. Your discs will look highly professional, creating a positive, lasting impression. FlashJet 2 is one of the most intelligent printers on the market today. Not only will it tell you approximately how many discs it will be able to print based on the image you have created, but also knows the differences of the cartridges loaded to maximize your print quality! Now that’s smart!